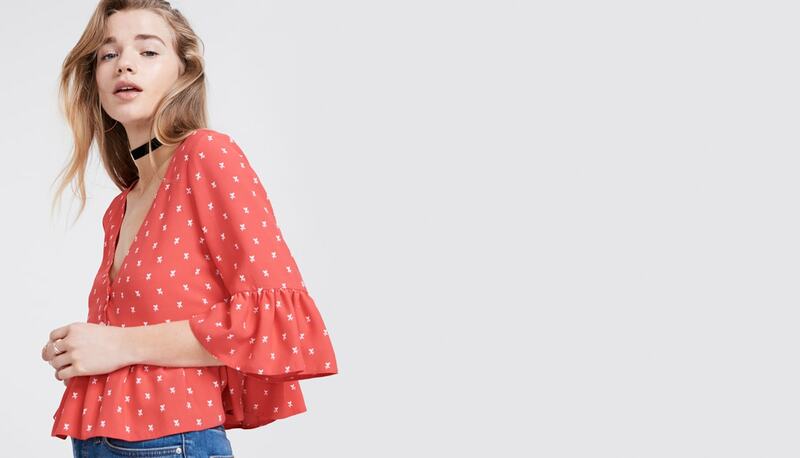 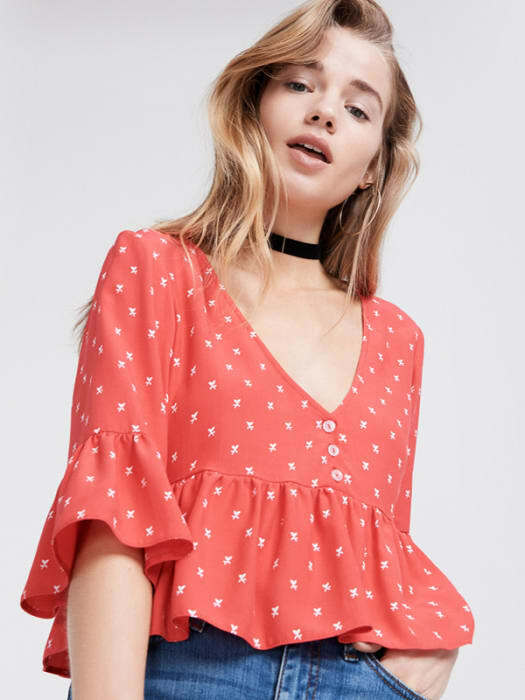 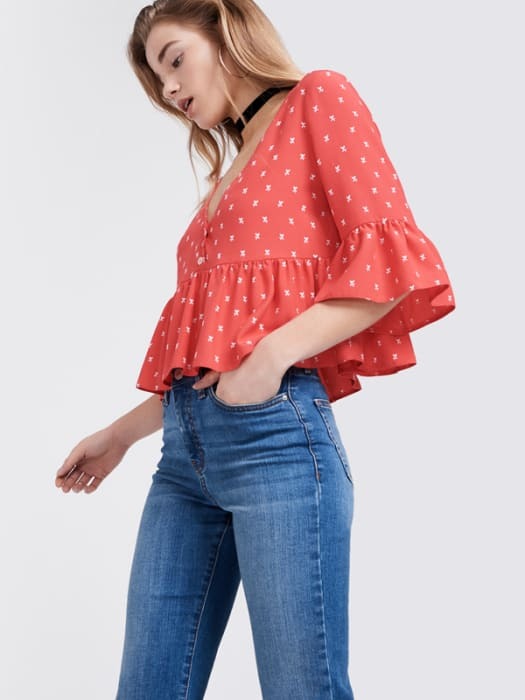 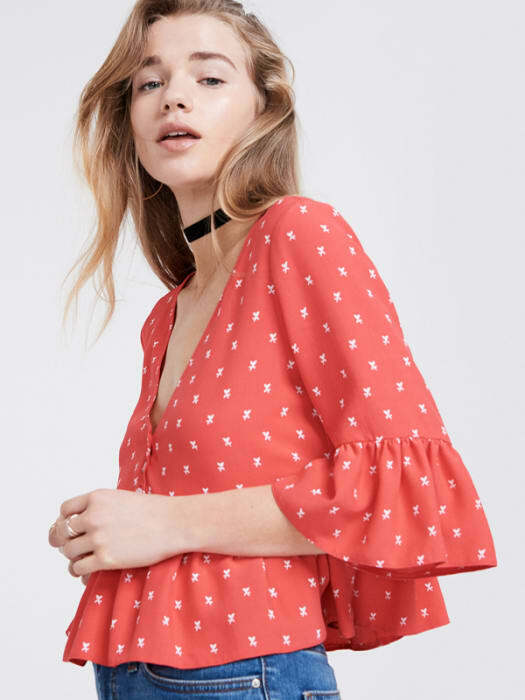 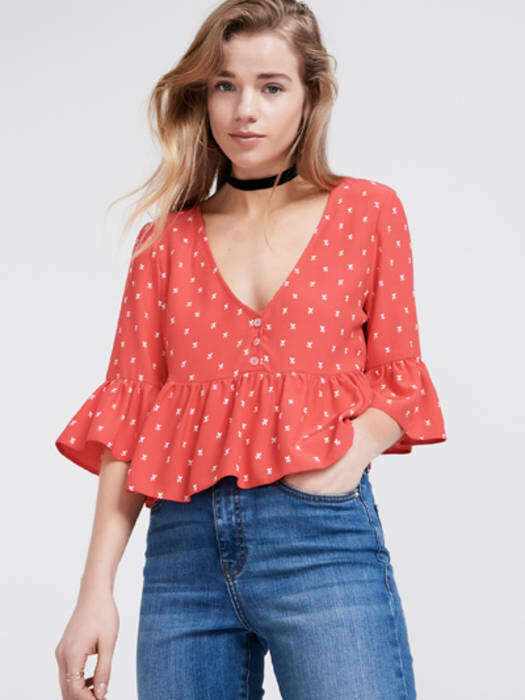 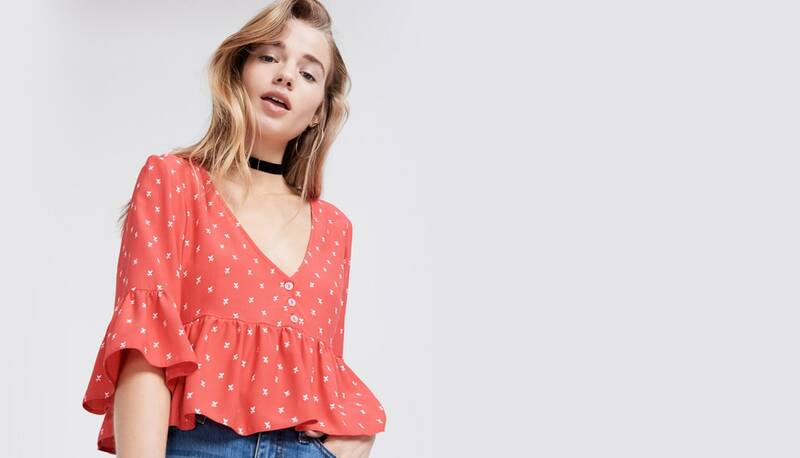 Summer styling just got easier thanks to this Crop Ruffle Blouse in red. 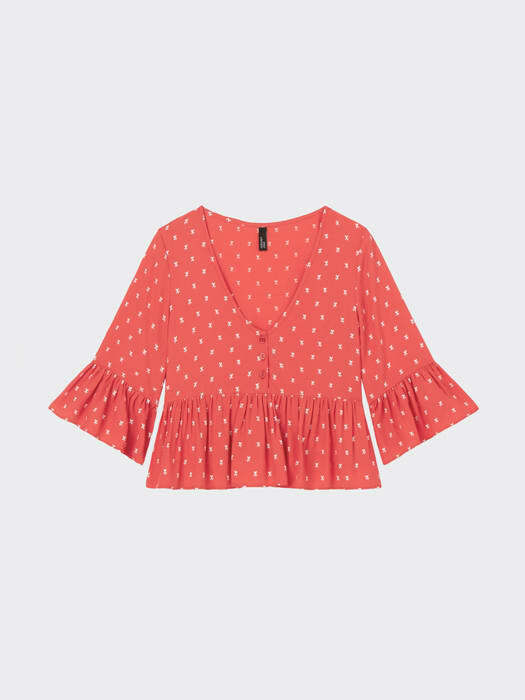 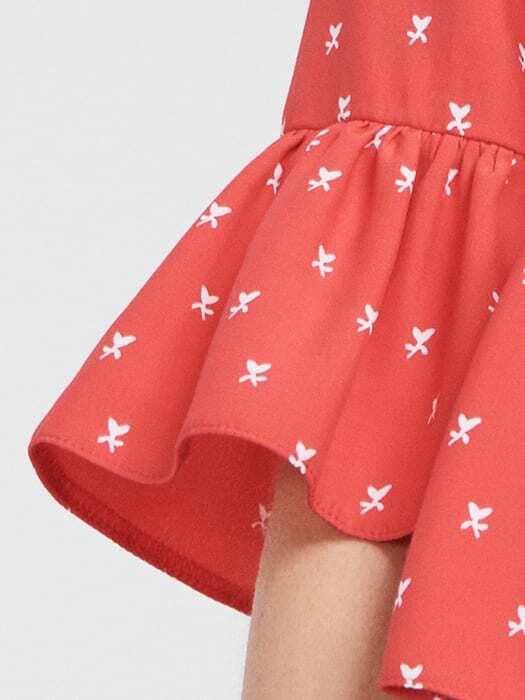 Sitting just above the waist, frill detail to the hem and sleeves add a so-now touch. 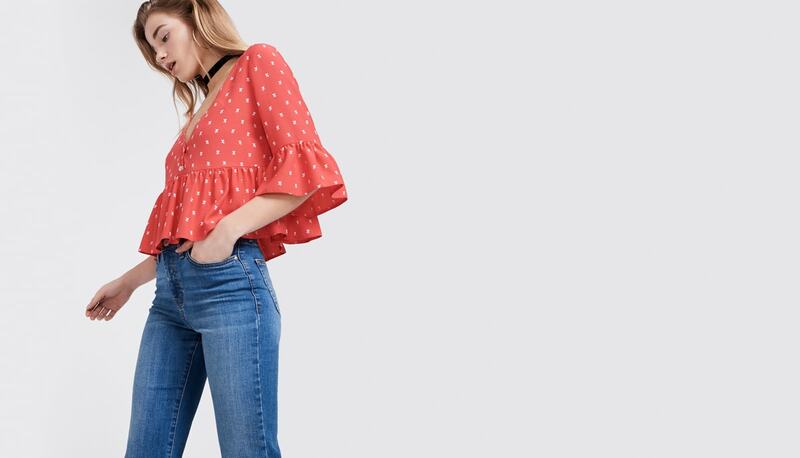 Work the shape with high waisted denim for now, shorts as the warmer weather clocks in.